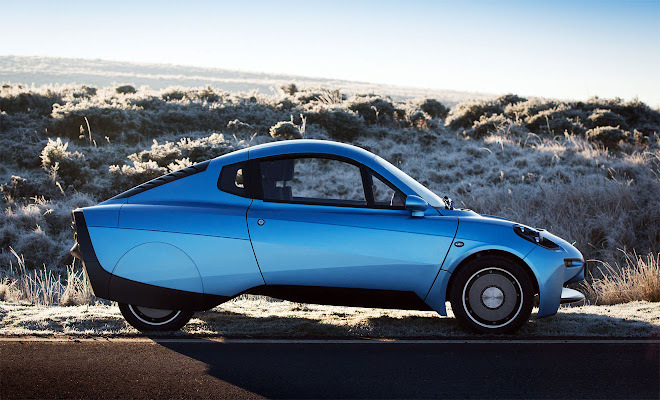 GreenMotor: The Riversimple Rasa is a hydrogen powered car. 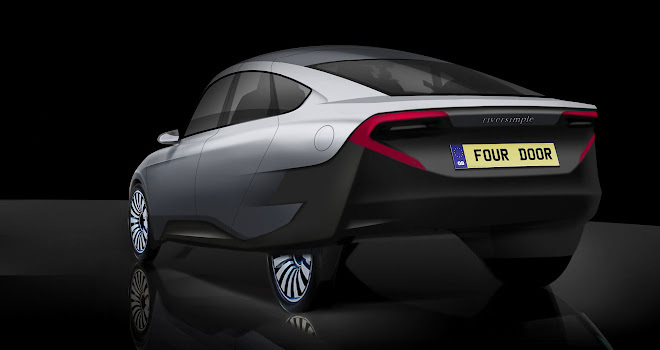 How will you make it a viable option given the general lack of hydrogen filling stations? Hugo Spowers: We’re a startup, so we don’t need to meet everybody’s needs. We don’t give a monkey’s what 95% of people are doing because if we’ve got a product that meets the needs of just 5% we’re in business. Put one hydrogen filling station in a small city or large town like Oxford, and anyone who has a reason to come in once a week and wants a car for local use is a potential customer. That’s why we’ve got a 300-mile range for our car. It’s not for 300-mile journeys; it’s to carry at least a week’s worth of fuel. That massively extends our potential customer base. 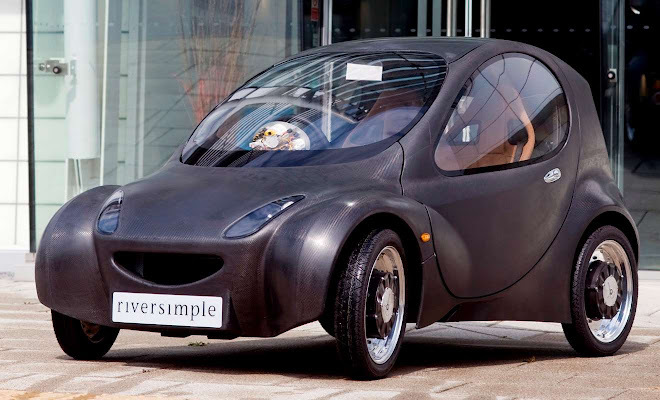 GM: Riversimple’s business model is to lease but not to sell its cars. How will that work? 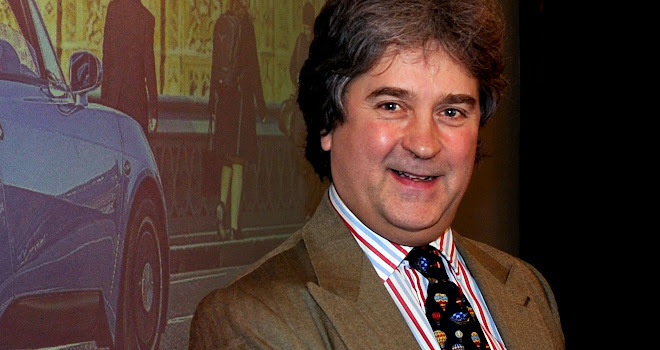 HS: We have to get down to the price of petrol cars, which are staggeringly cheap. Today, even the Nissan Leaf is at a premium, never mind a Tesla. Our solution is not to sell a car but a service for a specified period, typically one to three years. We don’t call it a lease because it’s an all-inclusive package rather like a mobile phone. It includes not just access to the car and maintenance, but insurance, tyres, fuel – everything involved. There’s a fixed price element and a mileage rate. At the end of the contract you either give it back to us or sign a new contract. And the mileage rate will stay the same, but the fixed price element will go down as the car gets older. There are no hooks or balloon payments encouraging you to swap to another new car. We think the fees will flatten out at about 7 years, where the latest styling ceases to matter and people buy on functionality, price and reliability. Normally reliability goes down and the risk of an expensive failure rises steeply. That really affects secondhand prices. But in our case a 7-year-old car or a 10-year-old car will be just as reliable as a new one. Often people buy a new car for peace of mind, but we can offer an old one that’s cheaper but still hasn’t got any risk attached to it. Even for a secondhand owner costs are entirely predictable. 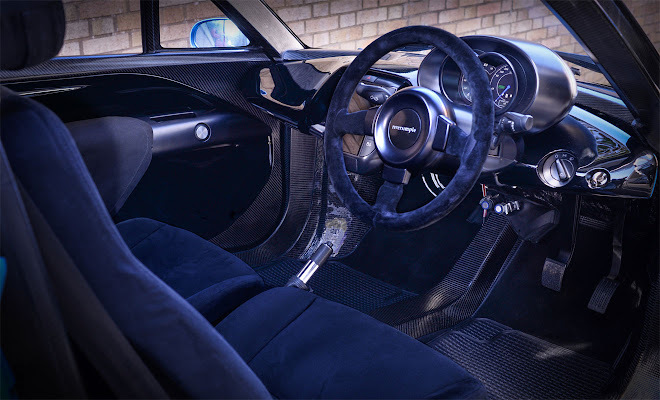 GM: The Rasa is largely made of carbon fibre. How does such an expensive material fit into your low-cost model? HS: People are still absolutely convinced you’ll never challenge steel in mainstream applications because it’s so cheap. 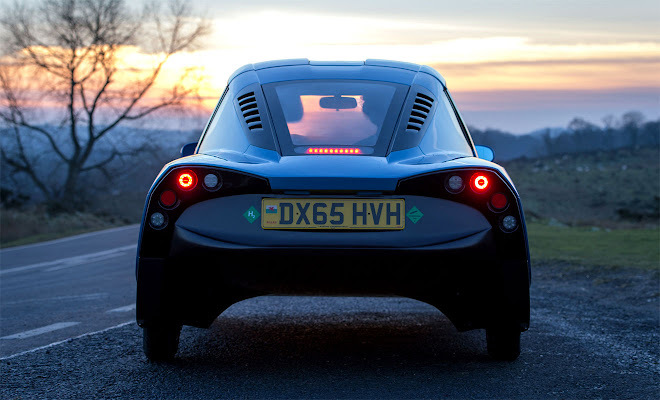 It’s always going to be cheaper than carbon fibre, but if you can make the car lighter you can use a smaller motor, smaller fuel cell, fewer supercapacitors, and so on. The costs don’t work with a conventional business model. But for us it means a more efficient platform that’s inert and doesn’t corrode. Just the fuel savings over the lifetime of the car will more than offset the premium for carbon. So we’re confident we can make more profit from a carbon car than a steel car at the same price to the customer. 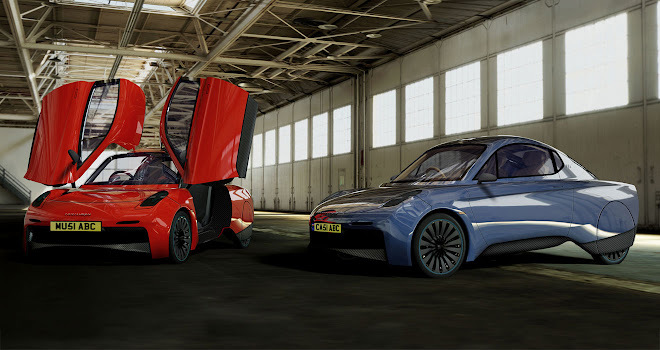 GM: The Rasa is very different to the bubble-shaped prototype Riversimple revealed in 2009. What drove the change of format? HS: Our understanding of segmentation had moved on. We went for that urban car initially because we were clear we wanted to design a car for local use. We realised that a local car didn’t necessarily mean urban. In fact you’re more car-dependent in rural areas. The commercial viability of the package hugely depends on weight. That’s what drove us to a two-seater car, not a 2+2. Because if you have a 2+2 you’re going to have a higher gross vehicle weight, so you need a stronger body, bigger motor, larger fuel cell. Everything spirals upwards quicker than the costs you can charge in the marketplace. It’s very difficult to get a good drag coefficient on a very short car. You can also get a lower frontal area in a longer car because people don’t need to sit up quite so high to feel safe. It’s also easier to pass the crash tests and it’s safer. I would argue those two outcomes are not the same thing, but it helps on both. There are all sorts of advantages and no real disadvantages in making the car longer. Bottom line: it’s really difficult to make a very short car look good. Ask Gordon Murray. 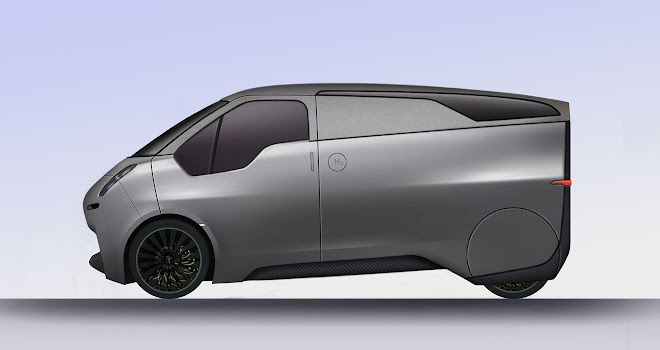 GM: Given that a 2+2 Rasa would not be economically feasible, why has Riversimple published sketches of a four-seater version? HS: We’ve got to get the technology into the market. Once we do that, supply chain costs come down and a four- or five-seater will become possible quite quickly. But it’s not viable at the moment. We’d be looking at more than double the fuel-cell power. The second vehicle we would do is the van. 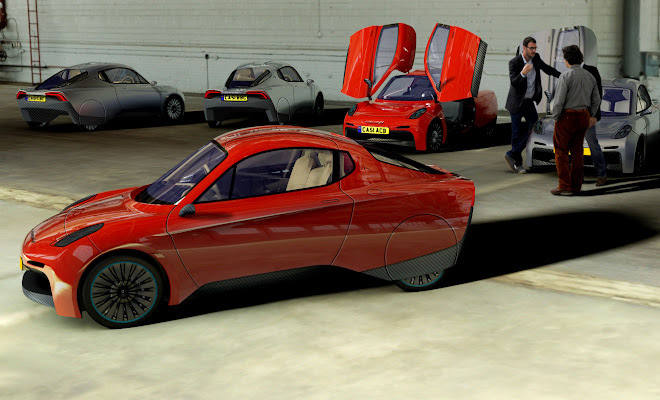 It uses the same powertrain as the Rasa – an 8.5kW fuel cell. It will have a higher payload and a lower top speed. 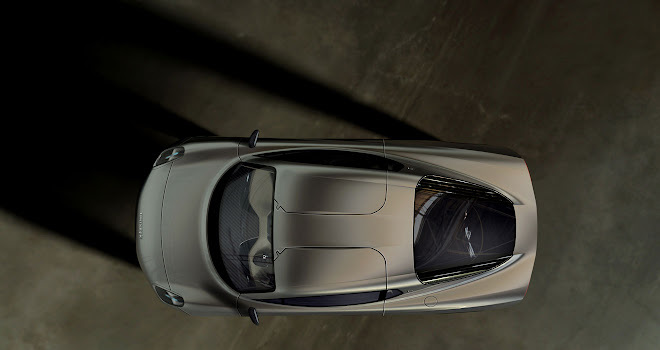 GM: The Rasa rides unusually high off the ground. Why is that? HS: In aerodynamic terms the further you can get off the ground the lower the drag. Looking at cars in general you wouldn’t think that was the case. But the ground is stationary and the floor is moving so the air is sheared. The further you can get the two surfaces apart the better. A lot of research was done in Italy in the 1970s by a guy called Dr Alberto Morelli. A teardrop is the lowest drag shape in free air, but close to the ground you need a slightly different shape. The Aptera was a Morelli body shape but it was not very practical for a real-world car. 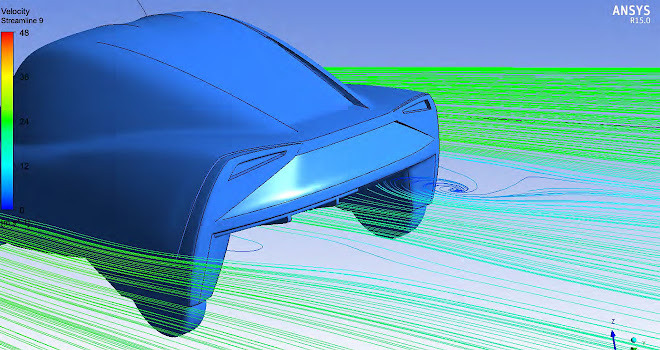 People say aerodynamics don’t matter when we’re building a car that only does 60mph but you ask a cyclist – drag certainly does matter even at low speed. Drag force goes up with the square of speed, but the power required to overcome it goes up with the cube of speed. Even at our speeds, the drag force massively outweighs the rolling resistance. 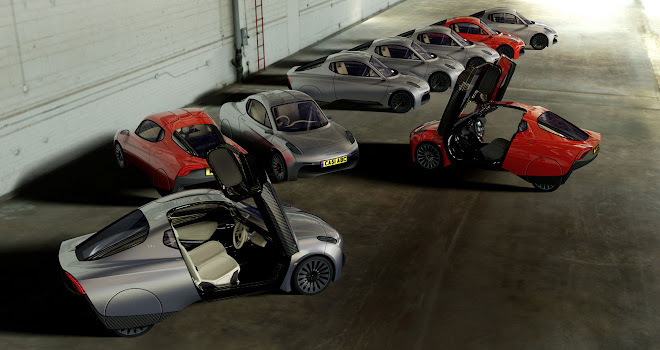 GM: How else has your business model influenced the design of the Rasa? HS: We have three areas of responsibility: building the car; maintenance and fuelling; and end of life. If those three together equal the lifetime costs of a conventional vehicle, we can compete even though our initial costs are much higher. That allows us to bring the technology to market long before the technology is as cheap as conventional cars. At the moment end of life is a small cost to the car industry forced on them by legislators. But we’ve designed our car for maximum recoverability of value at the end of life, turning that small cost into a significant credit. We also have an interest in driving down the cost of maintenance over 15 years, because we’re paying those bills. At the moment, if you make cars, there’s no incentive to prioritise efficiency. Customers won’t pay extra for a more efficient car, but it costs you as a manufacturer to make the car more efficient. So it eats into your wafer-thin margins. Therefore the only driver for efficiency is regulation, and as we’ve seen recently that’s a very blunt instrument. In our case, we are the ones who capture the benefit of efficiency, so it’s worth investing in technology to get greater efficiency. It also means we have a driver, independent of regulation, to stay ahead of all the mandates. We have a business need to excel on efficiency no matter what the regulations say. And that future-proofs our business. It also aligns our interests with customers. If you sell cars, you benefit from obsolescence and high running costs, because that’s where you make your money. In our case, we benefit from longevity and low running costs.